Are Chinese leaders ready to tackle corruption in China? High profile arrests. Public denunciations. Strict new anti-corruption laws for government officials on all levels. China is very vocal in its determination to stop corruption. There are signs that China may be getting serious about corruption, but are these measures the start of a move towards more transparent and accountable government, or just window dressing? 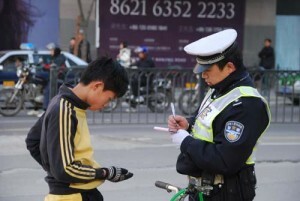 Transparency International research shows people in China and beyond believe corruption is wide-spread in the country. 46 per cent of Chinese people think corruption has increased in the past three years, 29 per cent think it has stayed the same and 25 per cent think it has decreased. China ranks 75th out of 182 countries in the Corruption Perceptions Index with a score of 3.6 out of a possible 10 for very clean, tied with Romania. The anti-corruption demonstrations in Wukan village after local government officials sold land to real estate developers without providing villagers proper compensation shows the severity of the corruption problem, and how these can no longer be ignored by the central leadership. The Wukan villagers voiced their demands for more transparency and informed decision-making from their local government. The question is whether China will enforce measures to rid itself of a culture of favouritism, bribery and dependence on patronage and conflict of interest (known as guanxi, literally “good relations”) that often determine government actions and business deals. Following the high profile arrest of the former Chong Qing Party Secretary Bo Xilai in March, Chinese Premier Wen Jiabao called corruption “the greatest threat” to the stability of communist party rule and stepped up measures to counter it. Furthermore, China’s vice president Xi Jinping warned recently that personal extravagance and government corruption could undermine the power of the party. Following a long string of new laws targeting government officials, the most recent law put into force prevents them from purchasing luxury items and lavish receptions with public money. In 2004, Chinese officials spent 200 billion Yuan (US$32 billion) on mealsand 408.5 billion Yuan (US$64 billion) on vehicle-related expenditures. Swift crackdowns occurred and law amendments were announced: All top army officers now have to declare their personal incomes and property, local provincial governments are running monitoring programmes for government officials. The former head of the Chinese soccer association and 10 other former national team players and executives were given long sentences for corruption. The construction, infrastructure, transport and railway sectors are most affected by corruption in China. From January to March 2011, 1,583 cases involving crimes relating to construction projects were reported. Out of these, 1,498 cases – amounting to 270 million Yuan (US$42 million), were related to corruption. The former railway minister was expelled in May this year, after allegations that he took bribes and fostered corruption throughout the railway system. The case has been forwarded to prosecutors, who will officially charge him. In February 2011, China amended its criminal code, introducing foreign bribery as an offence. It is a criminal offence for Chinese companies and Chinese nationals to bribe foreign government officials, and individuals may face criminal detention of between three to ten years, while companies may receive fines, and managers directly responsible for an offence may also face criminal detention of up to 10 years. This last trend is particularly important to the outside world. Chinese companies are the second most likely to bribe abroad (after Russian companies). In our recent study on corporate transparency, three Chinese banks were in the bottom five firms analysed. Out of the 105 biggest publicly traded corporations in the world, 84 operate in China. Out of these, only 16 companies disclose their revenues and five disclose income tax in the country. The developments are important but still small steps. The question that remains to be answered is whether China’s leaders have recognised just how deep a problem corruption is, and whether they will embrace the transparency and accountability needed to solve it. What do you think?